Though our history is important — my personal experience with the gender gap was the lynchpin for creating PDXWIT — our organization stands for so much more today. On this International Women’s Day, the focus of our conversation needs to shift. Today, let’s honor our roots, though not let them define us. As opposed to considering our community as a stop gap, or safety net, let’s change our perspective. Let’s get out in front, take a stance and demonstrate our intent to make change. With nearly 5,000 people in our community, which makes up nearly 30% of Portland’s tech workforce, our cumulative voice has reached a critical mass. We’re a strong community of individuals who believe that tech should be equitable and inclusive. Rather than just show through words, let’s openly demonstrate all that we are doing and build upon it. Experts - People who know what you want to know, who’ve been where you want to go. These individuals are our workshop leaders, panelists and mentors. Companies - Our events are held at offices all over the Portland-metro area so you can easily meet the people, see the office, experience the culture so you can make informed decisions about which organizations you want to support with your talents and buying power. Community - These are the nearly 5,000 individuals who believe in making Portland’s tech scene more inclusive. These individuals will challenge your thinking, share your grief and help you move on. They will hold you accountable, recognize your strengths and celebrate your wins. Jobs - Our job board is the most active job board in Portland’s tech scene and we are investing in it to ensure it continues to provide you with fast and relevant access to jobs. Trust - We take great pride in organizations that we choose to partner with, though we need to take it to a new level by ensuring that our community knows what we expect out of our partners. In the coming months, we will be publishing guidelines to ensure full transparency so our community knows what we expect from organizations we do business with. Access begets access, folks. When you have access, others will have access. By enabling access to more of us, we can ignite and expect real change. About Megan Bigelow: A true tech community leader, Megan is the co-founder and President of Portland Women in Tech (PDXWIT), a 501c3 nonprofit. 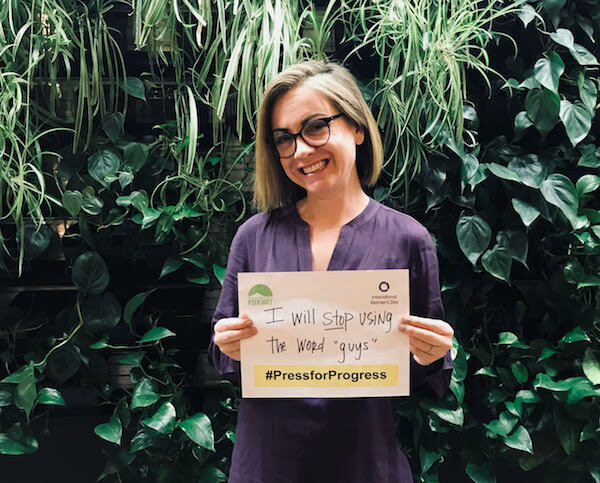 She created and continues to lead the organization with a singular focus on empowering women and underrepresented groups to join tech, while at the same time, supporting and empowering individuals to stay in tech. This is done by connecting people to companies, mentors and skill-building opportunities. The PDXWIT community is nearly 5000 strong — representing 14% of the region’s tech workforce — and includes the support of 70+ tech companies. Above all, Megan is committed to building a diverse and inclusive tech community.